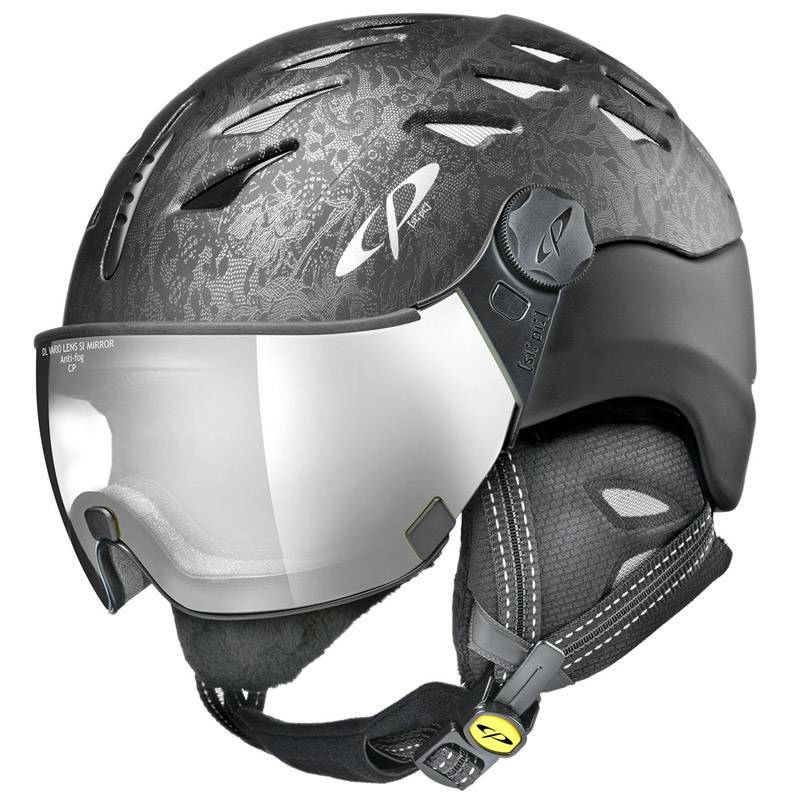 The Camurai Titan ST Visor Ski Helmet may be the most advanced visor ski helmet with unmatched performance and convenience of any all in one ski helmet made. The grey titan color is timeless so this helmet will be in style for years to come. 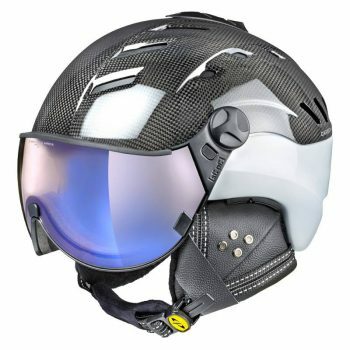 The visor concept provides a significantly greater field of vision then traditional skiing goggles. Never worry about lost or forgotten goggles is thing of the past, the visor is attached. 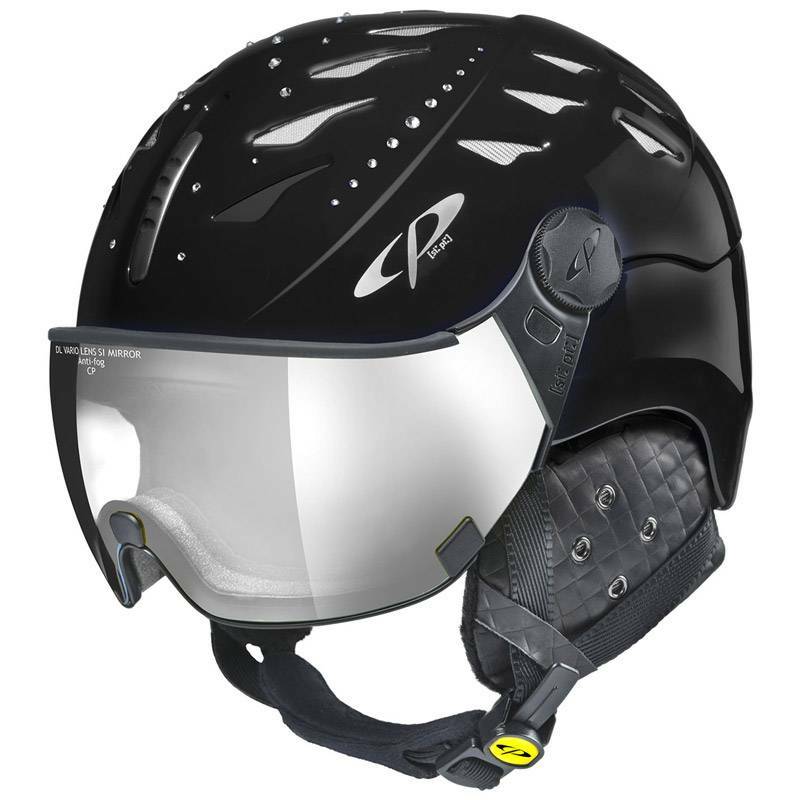 The visor allows skiers with glasses to simply wear them comfortably below the visor. 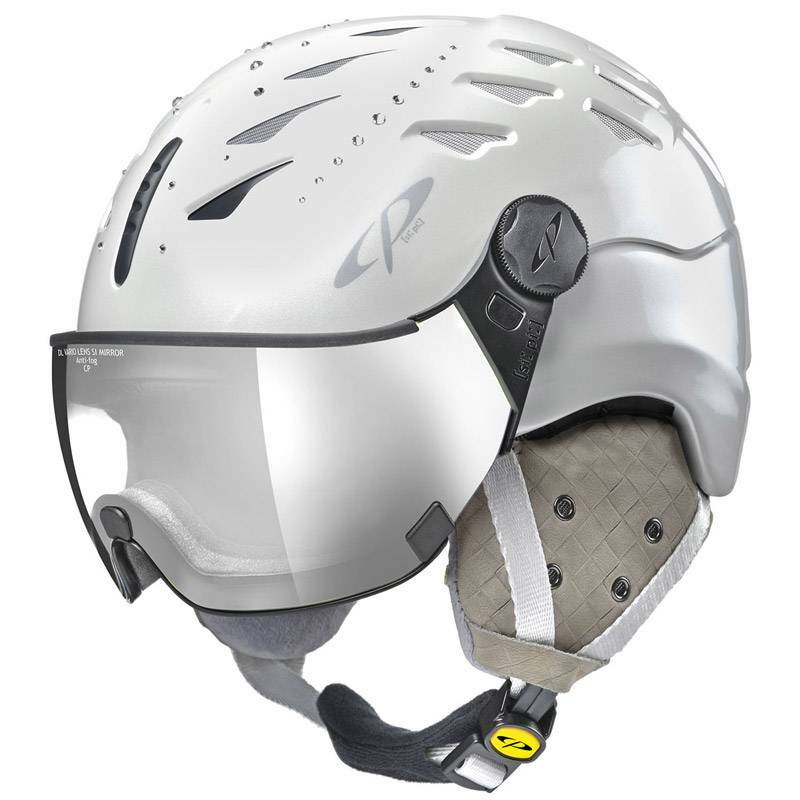 All Camurai ski helmets are equipped with adjustable air-flow system for comfort in all skiing conditions. With the ingenious CP size adapting system that is newly improved and allows adjustment to millimeter differences in head size. A simple movement allows removing and replacing the ear pads. Audio ear pads to accommodate earphones are available as a separate accessory. 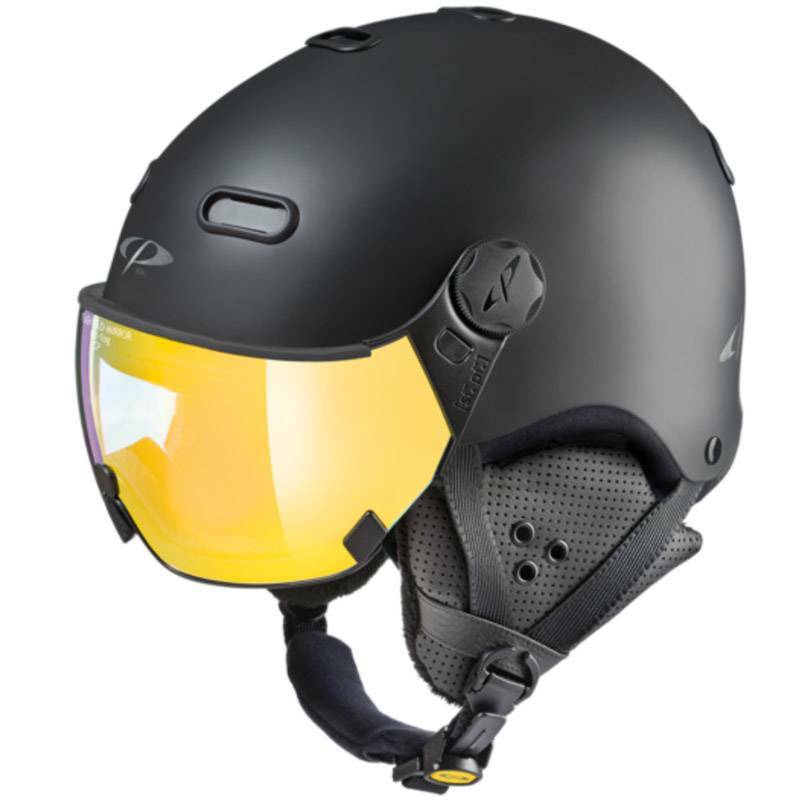 All visors are exchangeable and fit all models of the Camurai & Cuma, be sure to see our complete collection of additional ski helmet visors here. Visor #1 Orange Silver Mirror. This is an all-weather lens with 100% UV proteciton that is suitable for a varitey of light conditions and has outstanding glare protection. The clear mirror surface works great in sunny conditions while making a signature CP fashoin statement. 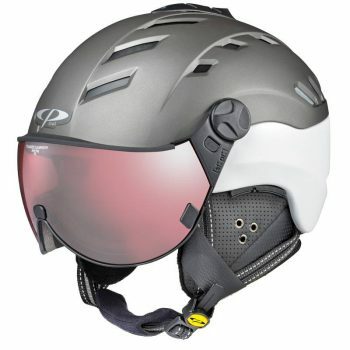 With an an anti-fog coating on the back of the lens you will not steam up when skiing hard. For cleaning of the lens treat gently, only dabbing is recommended to prolong the life of the anti-fog. Visor #8 Polarized Clear Vision Anti-fog. 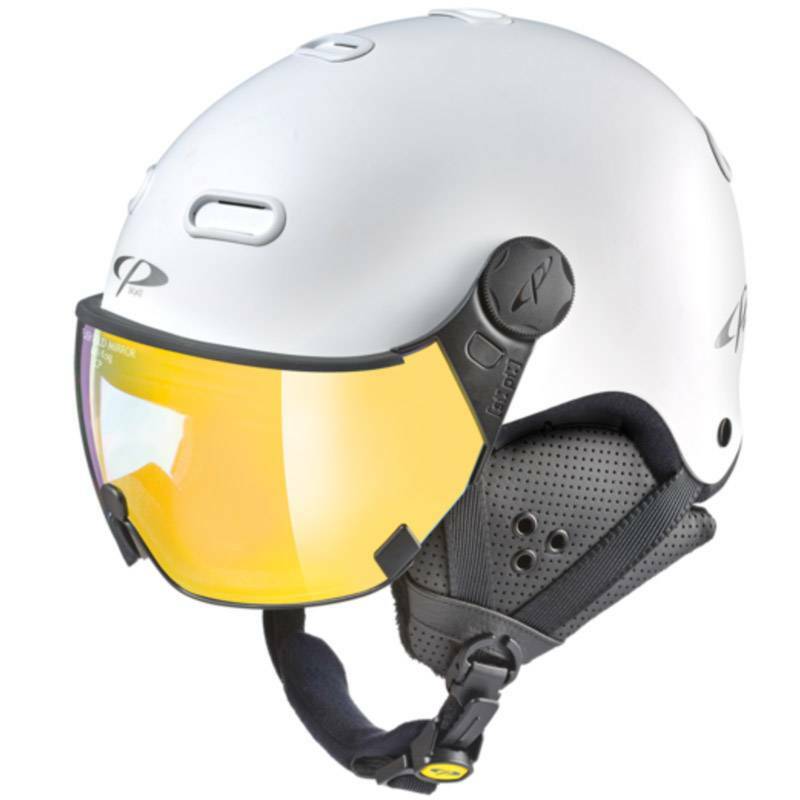 This all-weather lens is also suitable for all light conditions but gives this helmet a completely different look. With outstanding glare protection this visor has the best contrast of all CP lenses and is our most highly recommended visor for flat light conditions. 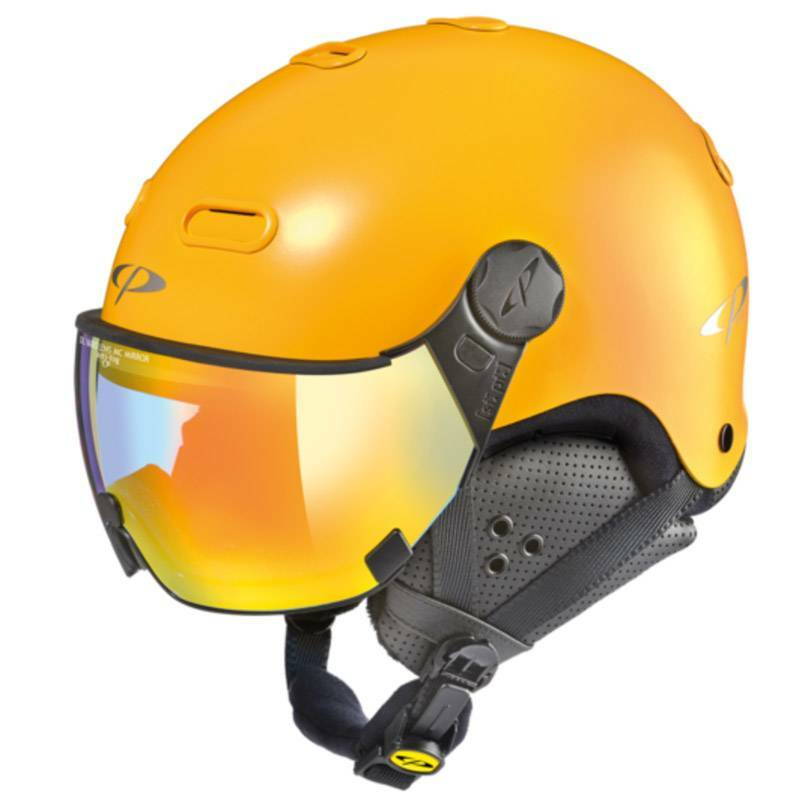 The clear mirror surface lens has an anti-fog coating on the back and offers the skier 100% UV protection. For cleaning treat the lens gently, only dabbing is recommended to protect the anti-fog. Visor #10 Double Lens Polarized Vario/photochromic Anti-fog. This all-weather double lens works in a variety of light conditions with outstanding glare protection and high contrast. The front clear mirror lens has an anti-fog coating on back and is protected by the additional lens. CP‘s photochromic visor help your eyes adapt to changing light conditions and eases eye strain in bright conditions with 100% UV protection. Visor # 13 Double Lens Vario Anti-Fog. 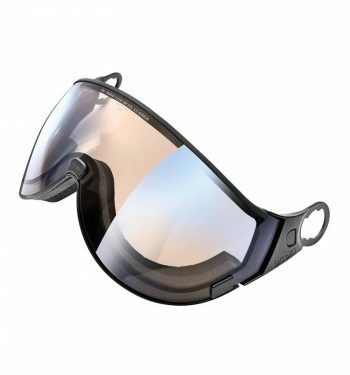 This visor is very versatile and really good for all light conditions as the lens changes and gets darker in bright sunshine and to give the skier outstanding glare protection combined 100% UV rays protection. With all CP Doulbe lenses the Anti-Fog coating in between the lenses, protecting the treatment so it last longer. 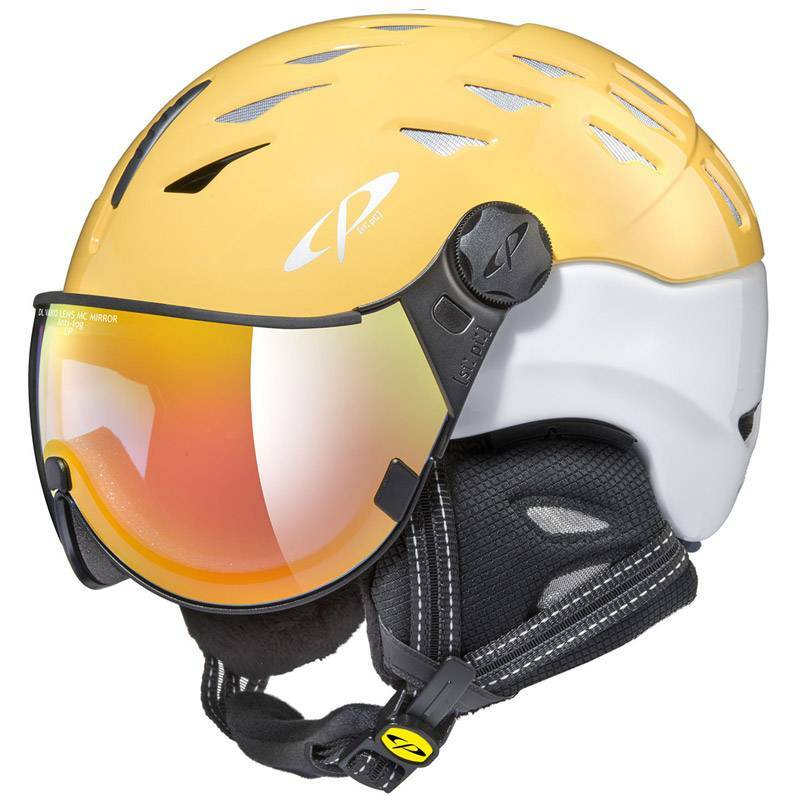 The #8 Polarized Clear Vision visor not only accentuates the black visor ski helmets style but is our most popular lens for its performance on the mountain, especially in flat light conditions while maintaining excellent performance in a variety of conditions. 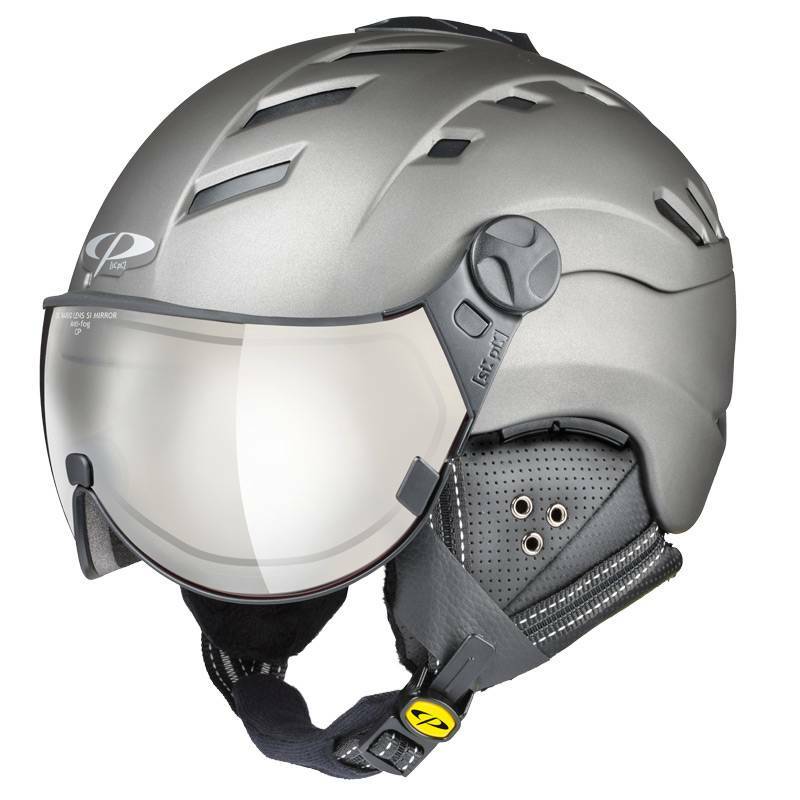 Like all of our visor ski helmets you have a wider field of vision than with ski goggles, this allows you to ski more aggressively and with greater safety. You are more likely to see some of the objective hazards of skiing such as trees and other skiers on the slopes with the improved field of vision. 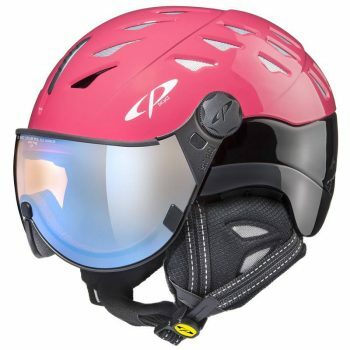 The CP Black Visor Ski Helmet are equipped with visors of outstanding optical quality. They also provide an invalueable advantage to eyeglass wearer, even with the visor closed there is enough room to allow wearing the glasses. The controllable air system allows you to control the climate with one simple slider, allowing you great comfort in a wide range of conditions. 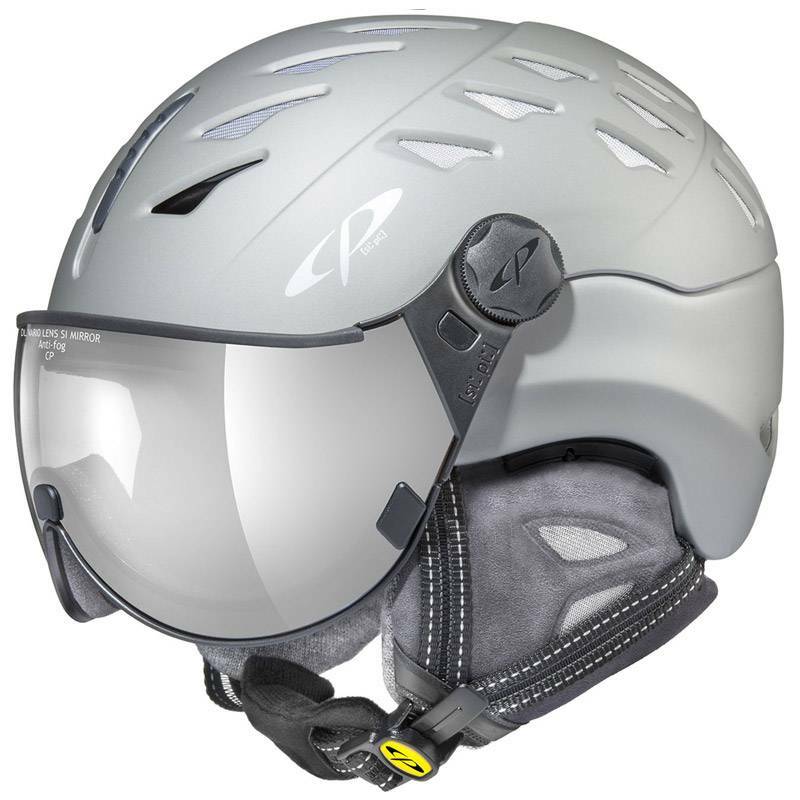 The correct fit and size affects the performance of the CP visor helmet system and is therefore of utmost importance. When in doubt we recommend you size down. 1. Size: Select the smallest size possible that still is comfortable. 5. Fine adjustment: if necessary regulate pressure of foam on face by slightly moving helmet fore or aft. 6. Skiing in light powder conditions: press visor down well. 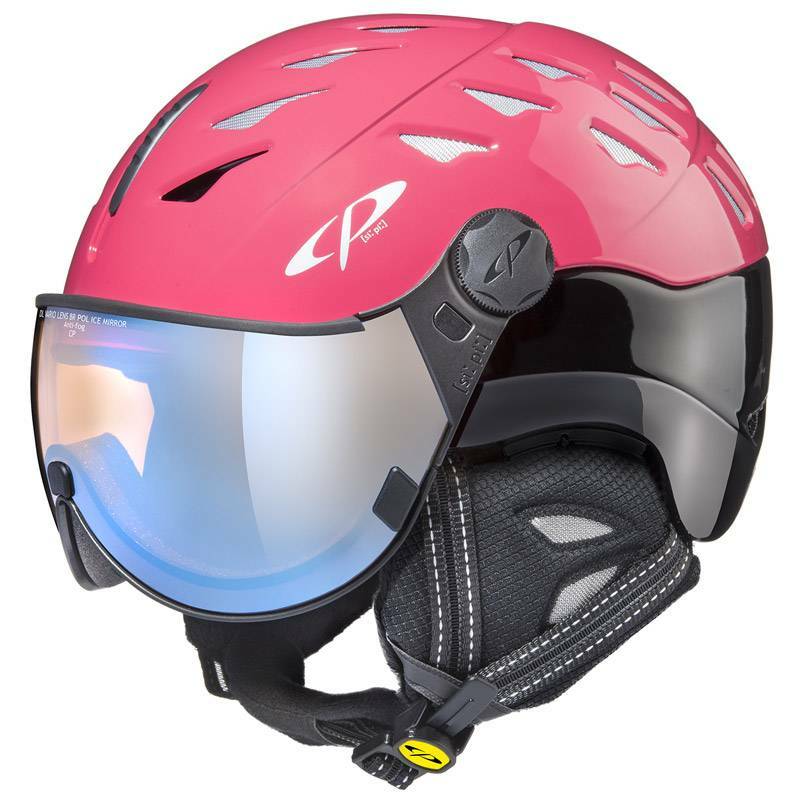 The CP Black All In One Ski Helmet size adapting system allows you to dial in the fit for comfort without pressure points.